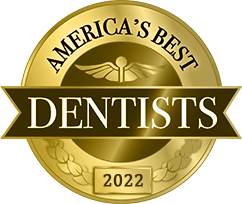 When it comes to offering cosmetic dentistry services in the area, your Massapequa, NY implant dentist, Dr. Allan S. Mohr, is the best around. You don’t have to travel far and wide to enjoy a beautiful smile. 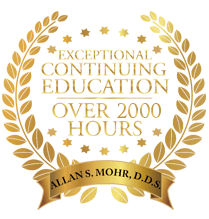 Dr. Mohr’s dental expertise has spanned nearly three decades and has performed thousands of restorative and cosmetic dental procedures. You and your family are in good hands. Did you know your smile is the first thing people notice about you? Studies show that a great smile improves your likability. Before you can start showing off your pearly whites, there is some work to be done. 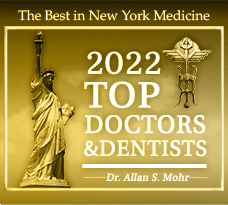 Cosmetic dentist Dr. Mohr, in Massapequa, NY, is the name you can trust when it comes to cosmetic dentistry. Cosmetic dental bonding: Alternative to porcelain veneers and reserved for reshaping imperfections including small chips, narrow gaps, or minimal damage with mold-able composite resin material. Each patient’s mouth is different, so while this may be the appropriate service to use, it’s best to sit down with Dr. Mohr and explore your options. Kör Teeth Whitening: Effective treatment that can eliminate stains that other teeth whitening systems are unfit to handle. With a little home maintenance, your teeth can stay white forever. It’s safe, comfortable and recommended for patients aged 14 and up. Zoom! Teeth Whitening: Using a concentrated blue light, your teeth can get several shades whiter in just one in-office treatment. It’s the latest in teeth whitening and has gained massive popularity over the years. This procedure lasts anywhere from an hour to an hour-and-a half, but we make it as relaxing as possible with massage chairs. 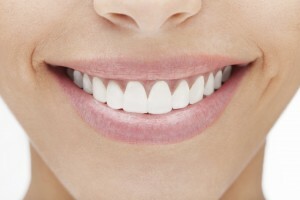 Take-Home Teeth Whitening: The best choice for patients who are always on-the-go. These custom-made take-home teeth whitening trays get consistent results all in the name of comfort. The best part is you can whiten you teeth on your time. No in-office visits, no schedule conflicts, no worries. Losing teeth is a part of life, but sometimes loss occurs to accident, injury, illness or disease. Dental implants can secure a single tooth, or several teeth, or even a full denture. Smile, eat and speak with confidence with the help of Dr. Mohr. A dental implant is simply an artificial tooth root made from titanium. 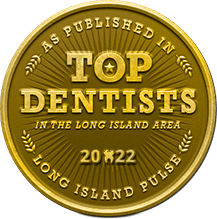 Dental implants in Massapequa are done professionally and with extra care by Dr. Mohr and his team. Set up an appointment at our Massapequa, NY office. We welcome all patients located in and around the area including Massapequa Park, Seaford, Wantagh, Lindenhurst, Farmingdale and beyond. Give your smile the care it deserves! by: tntadmin at April 26, 2018 .